Currently (October 2018) on her website she lists ‘Secular Government’ as one of the top ten things she ‘cares about’. If you were to assume they were in order of what she cares about the most, it is number 8. Her website also states that she stands for releasing the “Ruddock report into religious freedoms to the public due to ongoing concerns that the report will be used to water-down anti-discrimination laws”. 1. Phelps is married to Jackie Stricker, a former primary school teacher. Phelps and Stricker were united in a religious ceremony in New York on 4 January 1998. 2. 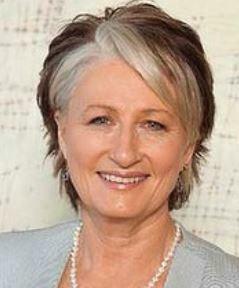 During the Australian Marriage Law Postal Survey period, Phelps appeared in an advertisement for the ‘Yes” campaign, and was a high profile figure in the debate. 3. In 2009 Phelps, a proponent of integrative medicine, was awarded a Bent Spoon Award by the Australian Skeptics for lending her name to a clinic offering various unproven alternative remedies. 4. “Stricker grew up in a liberal European Jewish household and Phelps converted to Judaism [in 2000].